Class of 2021 outside hitter and right side Eve Magill has verbally committed to the Creighton University women’s volleyball program. A 6’5″ pin, Magill would join the BlueJays as a freshman for the fall of 2021. Magill will be a sophomore this upcoming season at Xavier High School in Cedar Rapids, Iowa. In year one, according to Quik Stats Iowa, she appeared in 87 sets and notched 26 digs (0.30 per set), 24 aces (0.28 per set), 16 kills (0.18 per set) on a .143 hitting percentage and one block. She also plays for Six Pack Volleyball Club and most recently the 15U team. 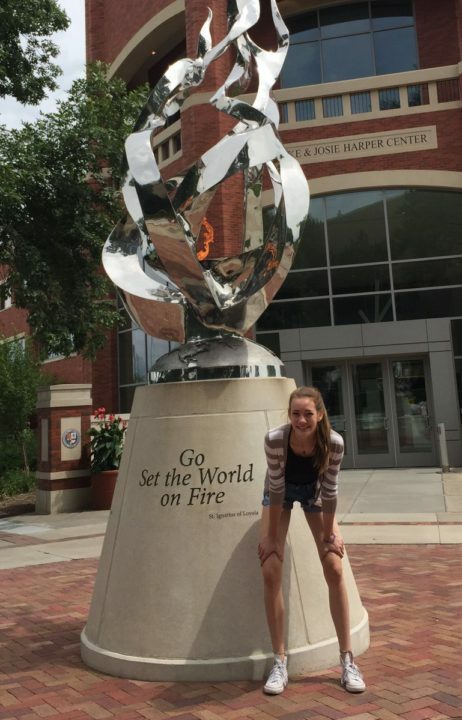 It’s actually the second recruit for the class of 2021 that Creighton has landed and has been registered in the VolleyMob Recruiting Database. Joining Magill will be class of 2021 defensive specialist/libero Kendra Wait out of Gardner, Kansas. Creighton is coming off of a 26-7 season in 2017 in which they went 16-2 in the Big East, won the league (regular and post-season), earned the #9 overall seed for the NCAA Tournament and made the second round. Their 2018 season begins on August 24 with the Trojan Invitational where they will see Kentucky, Northern Iowa and USC – all ranked teams in the VolleyMob Way-Too-Early Top 25.